Well yet another month has gone by so fast that I didn't have any time to post anything, no I wasn't busy, just lazy I guess. I knew that I was probably going to be going from store to store buying gifts with the wife all month so I guess I was resting and preparing for it.......Ill also confess that I did some shopping this morning on the Eve of Christmas. It feels like we just put up the Christmas tree and lights and I have a feeling that We I will be taking them down this weekend, again this holiday has gone by to darn quick. 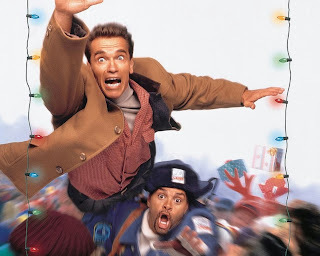 We did have a chance to watch some of our favorite Christmas movies like Jingle all the way, A Christmas Carol (Jim Carrey), Deck the Halls, Christmas with the Kranks, Christmas Vacation and others so that's a plus, oh and if you have a chance I stumbled upon a movie call Homeless for the Holidays a few years back the acting is not top notch but the storyline is great. It was added to our top ten list. One movie that I save for the end is "A Christmas Story" this is one of my favorite so I'll be watching that all Christmas day......OK maybe twice because I will be taking the decorations down. So......with that I will say Merry Christmas to you and yours and if I don't post anything until next year...... Happy New Year ......to those of you that read this blog...... thanks.